"In 2012, Patti Smith travelled to Mexico City to speak and perform at La Casa Azul, the former home of the artists Frida Kahlo and Diego Rivera. 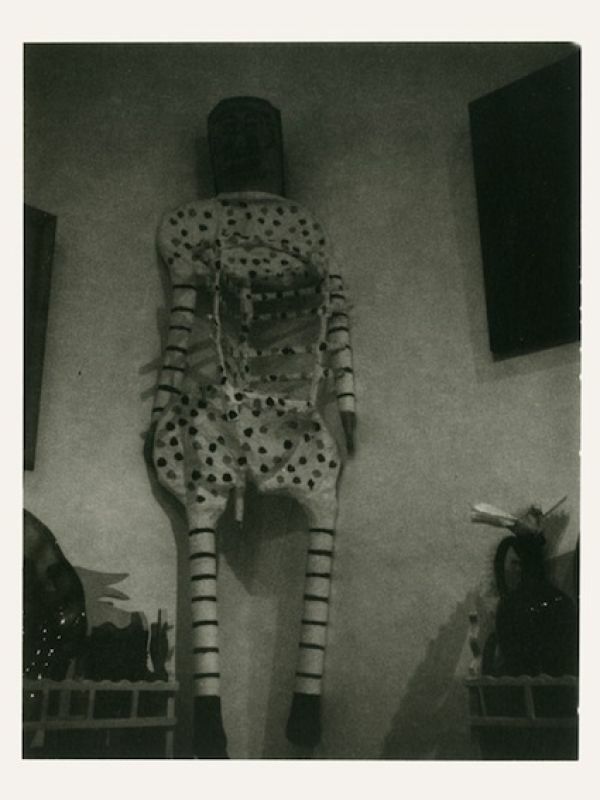 While visiting the property, which now serves as a museum, Smith took several black-and-white Polaroid photographs of objects she encountered: a pair of crutches that belonged to Kahlo; her worn corset; a white coverlet with crocheted trim, dangling from a wooden bed frame...."
“I was first introduced to Frida and Diego through a book my mother bought me for my sixteenth birthday, called ‘The Fabulous Life of Diego Rivera,’ ” Smith told me recently. “I was very inspired by having this window into how artists lived—their process, their political affiliations, how those beliefs infiltrated their work, their loves, their particular strife. They went through many highs and lows, but they remained steadfast in their relationship. I thought it would be wonderful to have a relationship like that.